The first automobiles didn’t come with any of the safety equipment we see today — not even seatbelts. That innovation, specifically the three-point seatbelt, was invented in 1958 by a Swedish engineer named Nils Bohlin. It was Volvo that hired Bohlin to design them. Prior to this, seatbelts consisted of only a single strap across a person’s lap. Even racecar drivers were using just lap belts, which is a scary thought. Seatbelts were a good beginning for automobile safety. They keep passengers restrained in a collision and prevent serious injury and death. However, seatbelts were just a start. Today, automobile safety involves far more than just seatbelts; in fact, now it’s all governed by computer software. An automobile’s electrical system isn’t as simple as you might think. Rather like the local network in your office, your vehicle has its own data network that allows multiple sensors and computers to communicate at all times. There’s no router in your car or truck, though. The network is known as the Controller Area Network (CAN), and it’s a complex system of wires and software protocols that actively controls the mechanics of your vehicle. CAN eliminated the need for miles of bulky wires that used to be woven throughout many cars, and were hard-wired to each feature. Instead, CAN provides the infrastructure for data communication over the network by way of Electronic Control Units. In order for software to control the mechanics of the car — like a power sliding door — other programs have to run to ensure those mechanics aren’t activated at the wrong time. For example, the reason you don’t have to worry about your automatic sliding door accidentally opening on the freeway is because a software program checks to make sure the car is in park and not moving before it executes the command. Also, a computer will sense when the voltage of an automatic sliding door spikes, which indicates something is caught in the door, whether a bag or an arm. When this happens, the ECU sends the door into reverse, and prevents injury. This safety feature is particularly important for families with kids. You never know when they’ll stick their arm out after you’ve started to close the door. 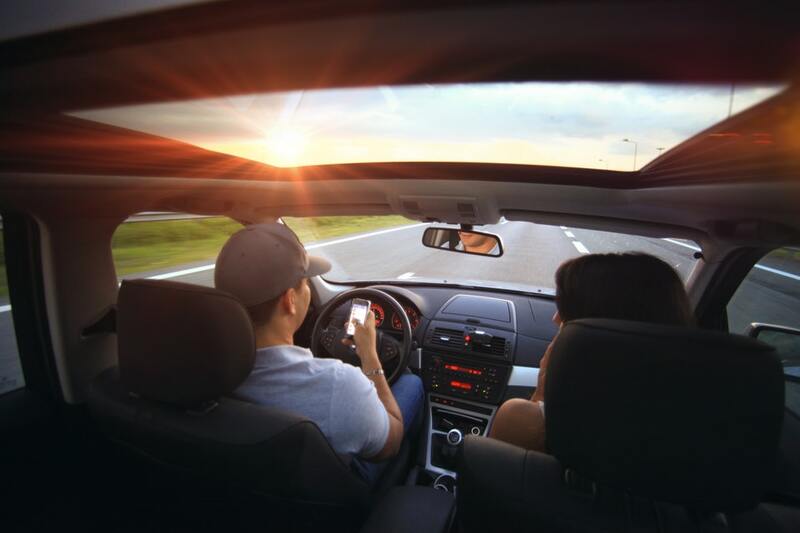 Although software helps to keep vehicles safe from a mechanical angle, people are still responsible for driving safely to prevent accidents. Most accidents are caused by negligent drivers and therefore could have been prevented. In Illinois alone, the Department of Transportation reported 811 crashes per day in 2014, which resulted in 61,084 injuries and 845 fatalities. Those aren’t small numbers. Computers make cars safer, but that’s hardly an excuse to get comfortable. Even when you have a backup camera with sensors, you still need to check all your mirrors and stay observant when operating your vehicle. Car manufacturers have an essential obligation to introduce software-controlled safety features without allowing drivers to become dependent on the computer. For instance, Lexus has developed a pre-collision system that senses when a car approaches dangerously and will slow the car even if the driver doesn’t touch the brake. This isn’t a substitute for staying alert. Manufacturers are hoping these safety features won’t encourage people to get too comfortable. Many cars also have cameras that detect pedestrians and detect activity at night via infrared sensors. Backup cameras and sensors also beep at the driver when the vehicle gets too close to an object such as a pole. Car manufacturers have been using computers for decades to improve the efficiency of their vehicles. This often involves CAD software that uses mathematical calculations to identify where improvements can be made. For instance, Mercedes uses a computer visualization process to pinpoint issues with a vehicle’s aerodynamics. The only downside to a world of vehicles controlled by computers is the need for regular upgrades. In the future, we’ll be placing our oil change and software upgrade stickers in the window next to each other.